I’m a change strategist for organizational development (OD). As a change strategist*, I provide specific and tailor-made OD strategies for organizations where I work. As a facilitator in OD implementation, I design the transformation process through personal competence and collective experiences. Thus, I see OD as a process of progressive change. I believe that organizational development is about how a group of people make the best out of their reality as a system of integrated capable beings. People are not machine parts. People are emotional, political and irrational – instinctive. Sometimes, they can be extremely creative and progressive. Some other times, they can be emotionally stubborn and (seemingly) happy to doom themselves in hating their own work. What might seems so valuable, can suddenly be so meaningless; and vice versa. But, to perform, they have to learn to integrate with each other, in a kind of ‘social machine’, so to say. Implementing this ‘social engineering’ constructively is what OD and change strategy is all about. It is not only about doing business because we have to, nor working for the sake of fulfilling the responsibility. It is about bringing values into what our work, and harvesting values from what we are working. Designing this process in work setting to improve capacity, creative process and organizational sustainability – and display all these into business’ bottom-line – that is my work. 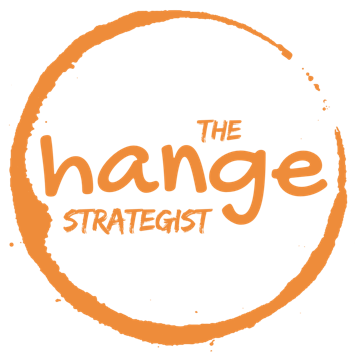 For this very reason, I established the Change Strategist team, a professional team with exceptional portfolios of organization development and business improvement. For more about the team, please check here. great and complex work, but it is excellent if you do..goodluck and God Bless. Thanks, Sarah. I really appreciate it!